702-2S was designed specifically for transom areas for connecting battery cables from outboards. 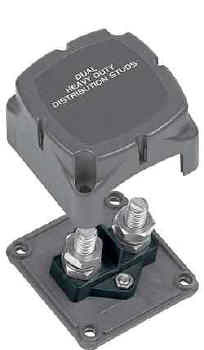 It also has many other applications where heavy duty positive and negative connections need to be terminated. 702-2S/L Same dimensions as 702-2S including link bar to connect two studs.